Are You Looking To Construct Or Renovate Your Home? As an addition to TG Construction also offer renovation services, with a team dedicated solely to this portion of the company we offer professional renovation services, using only trusted and reputable partners to complete a project with the utmost of professionalism and top quality finishes. 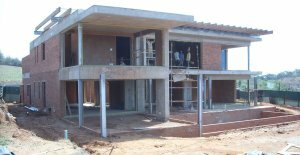 We offer a full TurnKey solution to all our projects, from execution of the works, to sourcing architects and engineers where required, allowing the client to have a “one stop” solution, and we deal with the rest, we offer all services related to renovation, addition and remedial works, from the initial wet works to the very last finish touch.